The UBOCELL Control Box of the UBOCELL SOFC Demonstration Kit is also available separately. 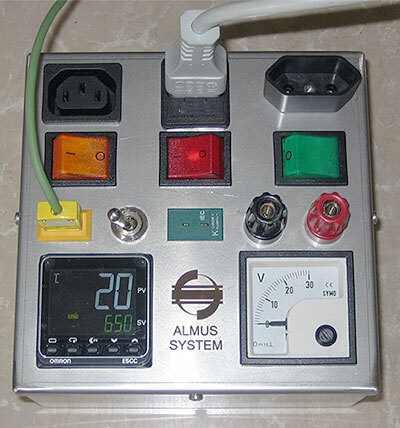 Experimenters at research laboratories may find it convenient to use this control box when setting up experiments for elevated temperatures with controlled heating requirements and good temperature control. The unit is illustrated below. The UBOCELL Control Box is available for CHF 1,800.